It was the perfect night for a party. 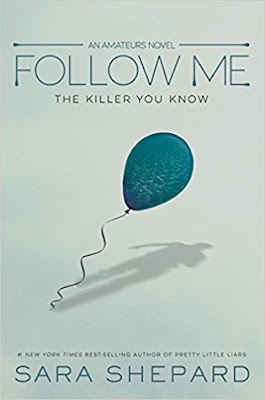 Follow Me is the second book in The Amateurs series by Sara Shepard, and I’m super excited to have had the opportunity to have read this sequel! I read the first book last year, and, being a somewhat newbie to Sara’s writing style, I found myself completely captivated by the story. I was really looking forward to seeing what was going to happen next in this much anticipated sequel, and it was definitely worth the wait! The book picks up a few months after where The Amateurs leaves off. A new girl has gone missing, and Seneca, Maddox, Aerin, and Madison are brought together once again by a mysterious friend from the past, to try to figure out what happened exactly to the missing girl, and who, in fact, kidnapped her in the first place. I have to say that these characters are pretty awesome detectives, definitely better than I am! As I mentioned above I’m pretty new to Sara Shepards writing, (I believe this is only the third book I read of hers), but I really appreciate how she grabbed my attention early on in the novel, and left me curious enough to finish the book fairly quickly. (This is not an easy feat for me lately, so I definitely appreciate something that can grab my attention.) And this book is under 300 pages, so it's definitely a quick read. The book ends with a pretty massive cliffhanger, and it’s one that will stick with me until the next book is released and where we will (hopefully) get details. I can’t wait to see what’s going to happen next. 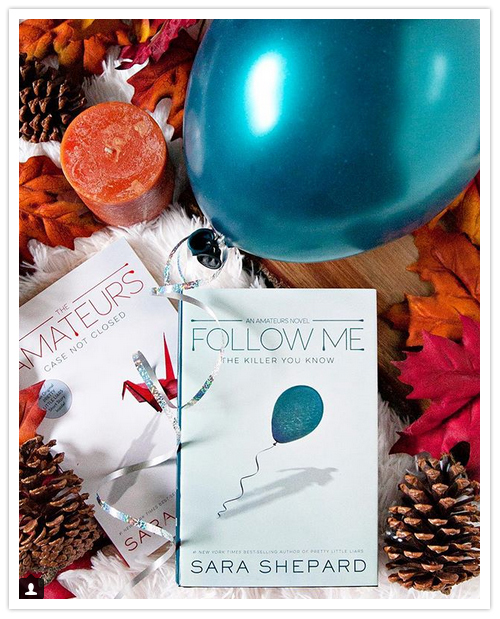 Overall; Follow Me is a quick, mysterious read that will keep you guessing and have you flying through the pages. If you’re a fan of Sara Shepard and have not yet check out The Amateurs series, think about adding it to your TBR today!